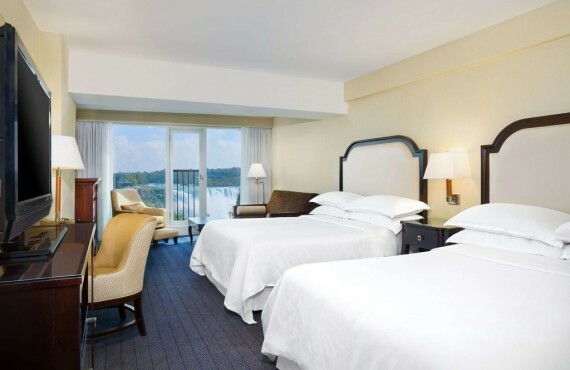 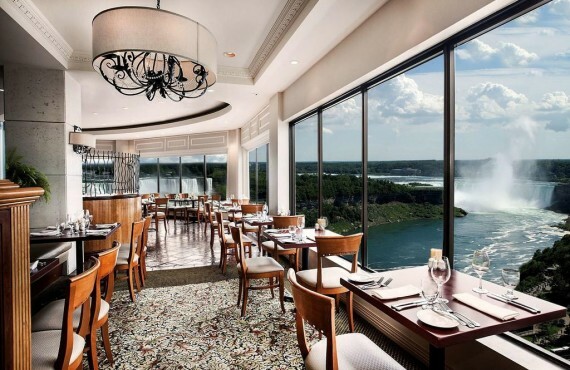 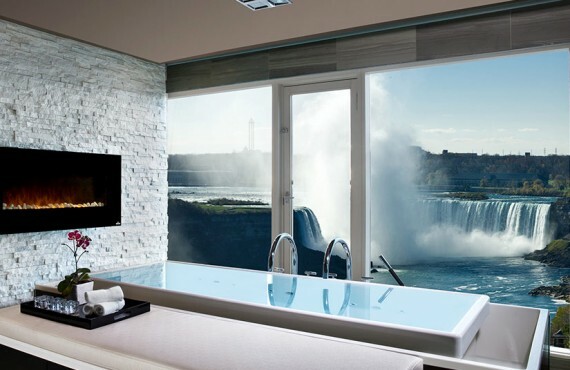 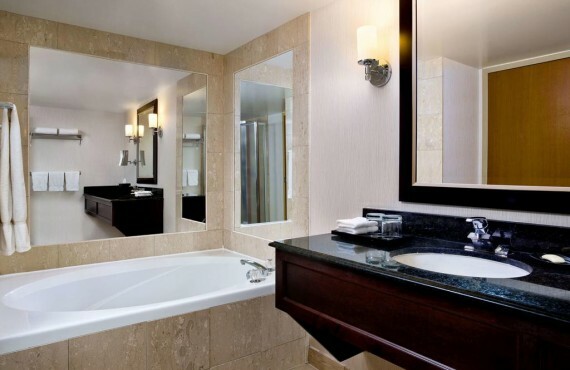 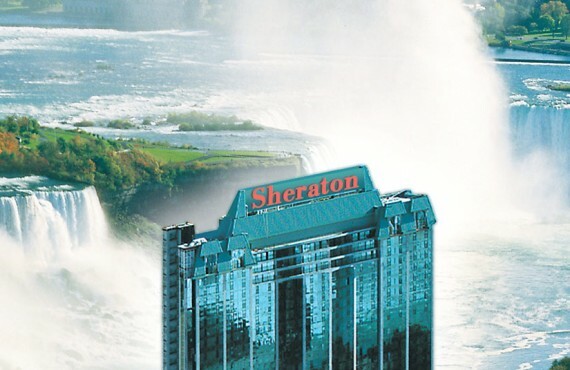 Sheraton on the Falls is a contemporary four-diamond hotel with stunning views of Niagara Falls. 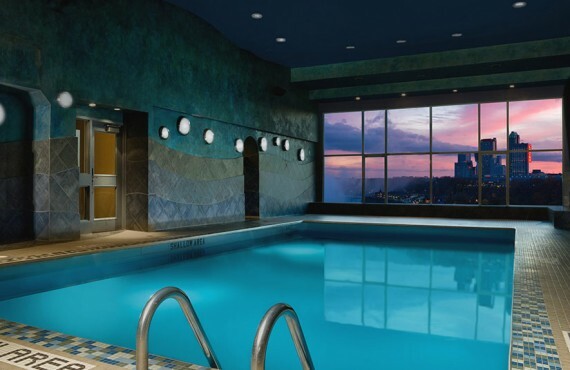 Located directly across from the Canadian and American Falls, in the heart of the Fallsview district, this world class hotel is the cornerstone of the largest indoor waterpark, hotel and entertainment resort in North America. 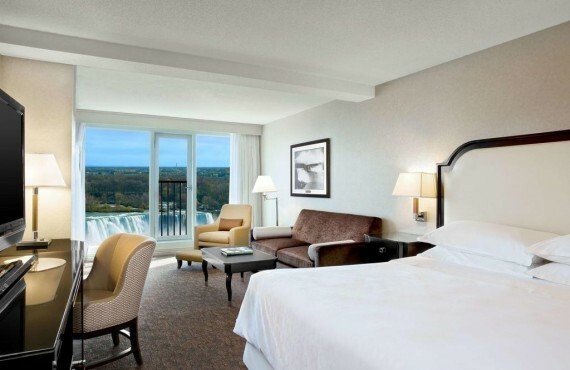 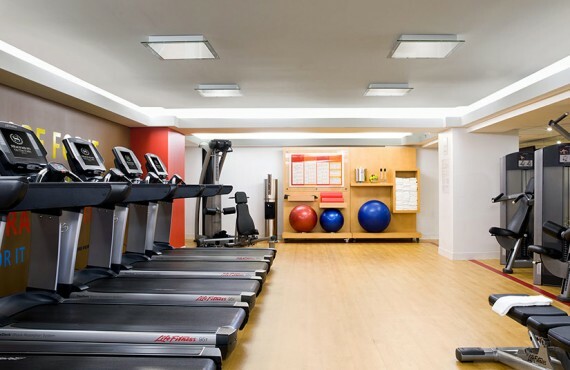 With its direct indoor connection to Casino Niagara and Fallsview Indoor Waterpark, this hotel is the ideal vacation destination for all ages. 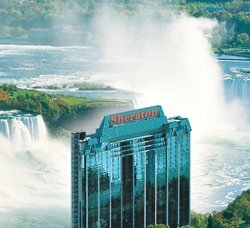 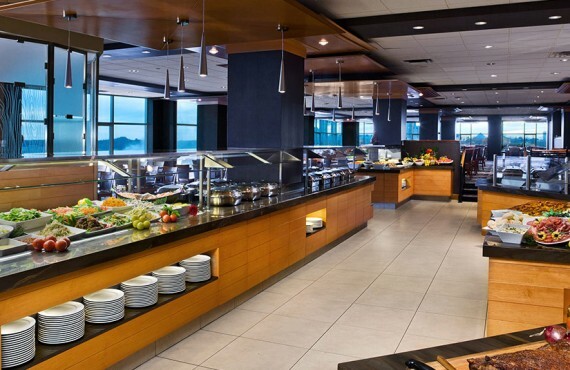 Sheraton on the Falls is home to the world-renowned Fallsview Buffet, featuring breathtaking views of Niagara Falls and a sumptuous 24-metre five-star buffet. 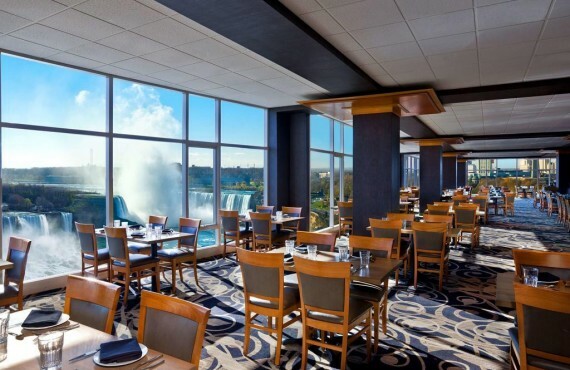 Open for breakfast, lunch and dinner, the Fallsview Buffet is the best place in town to enjoy a meal with a view. 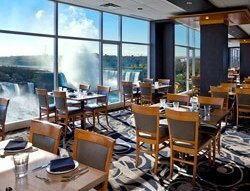 For the convenience of its guests, the hotel also has a Starbucks in the lobby and a lounge and piano bar overlooking the Falls.